Are you looking for a late night activity that does not involve drinking? Night Art Gallery is the place! 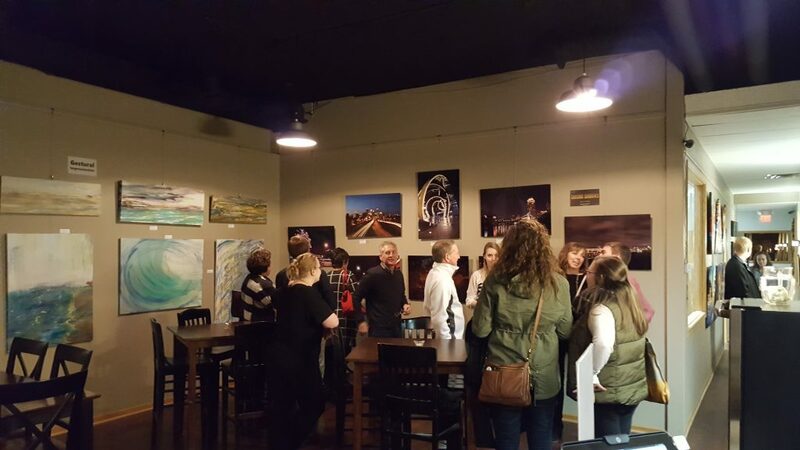 Night Art Gallery is an entertainment alternative to bars and restaurants with lots of great diverse art, ever changing art exhibitions, upbeat background music, non alcoholic beverages and late evening hours. Night Art Gallery is open Monday through Saturday from 5:00pm to 11:00pm. Visitors can take their time viewing 300+ original artworks, meet up with friends or make new friends by mingling with others who share a passion for art and just do not feel like drinking alcohol. Become an art critic by participating in our “People’s Choice Awards” by placing a star sticker next to favorite artworks. Night Art Gallery is located a short 40 minutes from Minneapolis and St Paul in downtown Lindstrom, MN 55045, right on Highway 8. $8 Admission is good for all events for that day. Tickets available at the door or online to save time and use phone to enter. Visit www.NightArtGallery.com.